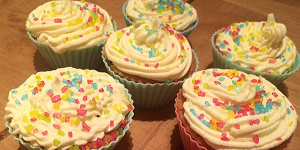 Over at our forum, Assistant Events Manager FlyingJesus (aka Mary Berry) has been running a baking competition! For the past two weeks, our members have been tasked with creating the best cake(s) they can in order to be crowned the winner of task one in the Habbox Bake Off. There is still time to enter, however as the deadline is today! You can check out all of the entries so far from sponge week by clicking ‘read more and comment’ below, but just to make you hungry for more, here is lawrawrrr’s entry! Habbox In The Park has arrived once again! It’s time to get on your wellies, pack up your tent and head down to a field with little signal! This comes exactly a week before the start of our annual Habbox Summer Spectacular event, which begins on Friday 12th August. Get yourself down to our very own festival from today until the 7th August and have some fun whilst checking out everything we have to offer you! Whilst there you can sign yourself up for HxSS, dance your pixelated socks off, enter our competitions and find out more information about all our departments! Each department has it’s very own booth where you can talk to managers and maybe even become Habbox staff! Be sure to come and give articles a big hello! There are sure to be plenty of events going on too, where you can win some fabulous prizes. The fun starts at 12pm BST today and you can enter the room by clicking here. Want to become articles staff at Habbox? Simply drop Articles a private message on our forum stating you would like a trial! Do you enjoy writing about things that interest you? Do you have a particular hobby or passion which you could write about? We have the perfect opportunity for you! At Habbox, our articles department provides the community with a variety of articles. Whether you’re into music, television, politics, sports, celebrities, soaps, Habbo, debates or you just enjoy writing, at Habbox you get the chance to show off your creative side and share your content with the community. Continue reading to find out more about how you can become articles staff at Habbox and get your articles on our site! In case you’re wondering what Sports Relief is all about, this big charity event happens ever two years, and brings together the worlds of sport and entertainment to raise money to help vulnerable people in both the UK and the world’s poorest countries. The television show kicks off tonight at 7pm on BBC1 and aims to bring you lots of entertainment, whilst raising money for very important causes. In 2014 Sports Relief raised a massive £51,242,186, the biggest total to date. To head over to the forum and purchase the charity VIP click here, and to find out more about Sports Relief you can click here. Valentines Day AKA the day of love is now over, making way for the next big event on our calendar- Easter! Spring really is in the air, the days are getting longer, the flowers are starting to appear and the weather is definitely starting to get a bit warmer! Last weekend, the new Habbox Help Desk design for spring and Easter was released and has gone down a storm so far. A new layout is selected from a list of submitted room designs by the community on our forum, and this month the competition was extremely strong with some beautiful designs being submitted. Click here to head on down to the room and check it out for yourself. Let us know what you think about the new design in the comments below!